SCHWAB REALTY, always welcomes helping buyers and sellers. 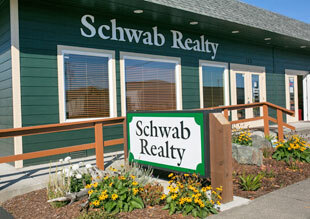 We are a full service real estate company established in Sequim in 1986. We continually welcome and help meet customers and clients needs who are looking for all types of residential properties, land, commercial, farms, ranches, businesses and investments. We are very familiar with the Sequim, Port Angeles and Dungeness areas of the North Olympic Peninsula of Washington State and the out lying areas as well. Our goal is to work closely with you whether buying or selling Sequim or Port Angeles real estate in our beautiful market area in the most efficient and expedient fashion in today’s fast paced market coupled with good old fashioned service and knowledge. If you are interested in doing a search of properties in this area please click on the “All Homes and Land” tab above. View our listings for Land for Sale in Sequim or Homes for Sale in Sequim. Please feel free to email, call or FAX us. We think you will be very pleased with our friendly knowledgeable Real Estate service.